How do you clean a dirty phone case? The Right Way! Have you ever sat down and thought about just how dirty your cell phone case is? Have you ever thought about all of the places that you put your phone or all of the things that you do and then touch your phone? It gets pretty dirty, right? And chances are that it’s starting to look it. That’s when you need to start looking at how to clean a phone case. And of course, you need to make sure that you’re cleaning it right based on the type of case that you have, right? So what’s the process? When it comes down to it, several types of phone cases can actually be cleaned easily. It’s going to be all about going through the right process whether it’s how to clean a matte phone case, how to clean a rubber phone case or how to clean a clear phone case, you’re going to have no problem once you’ve taken a look at these simple tips. It’s actually a whole lot easier than you might have thought to clean any kind of phone case. You just need to pay attention to what you have and make sure you’re reading the right section. From there, you’re going to be off and running with a great looking phone case (and a disinfected one too). How to Clean a Clear Phone Case? Clear phone cases are generally made with a type of plastic or plexiglass, depending on the specific case. If you’re willing to spend a little more the plexiglass is generally a little nicer and it’s going to retain the clear look for longer. It’s going to be a little more resistant to wear and scratches. But either one of these cases is going to be super simple to clean in the same way. For how to clean a clear phone case, all you need to do is remove it from the phone and then clean it with soap and water. A little bit of dish soap will allow you to scrub most of the dirt and marks off the case. It’s also going to get off any kind of grease from your hands or if you’ve touched your phone after cooking. Use a cloth with your soap to scrub a little harder and then rinse the case with water. Make sure you dry it entirely before you put it back on the phone. Disinfecting this type of phone case is very easy because it only takes three things, a bottle of isopropyl alcohol and a couple of soft cloths. You start by removing the phone case from your phone and putting your phone up somewhere while you’re cleaning. You want to put just a little of the alcohol directly onto one of the cloths and use that to wipe down the phone case. When you’re done, all you need to do is use the second cloth to wipe off any excess alcohol. It should dry almost instantly (that’s what’s so special about isopropyl alcohol) but you still want to wait a little while to make sure before you put the case back on your phone. How to Clean a Silicone Phone Case? When it comes down to how to clean a silicone phone case it’s very similar to how to clean a rubber phone case. These are actually both types of rubber and they’re each going to have a similar process. You start by removing your case from the phone and setting your phone somewhere safe. From there, use a little warm water with just a little bit of dish soap. When it comes down to how to clean a rubber phone case you’ll want to submerge the case and actually let it soak for a little bit. Don’t leave it too long (it doesn’t need it but you won’t hurt the case if you leave it a little longer). You can then use a toothbrush or a cloth to scrub any stains or any areas that didn’t come clean just from soaking. Anything that’s really set in can be cleaned with a little baking soda and then scrubbed with the brush. Rinse it off and then let it dry entirely before you put it back on your phone. Another option, for cases that have only a little dirt or debris but not deep stains, is to use a cloth. You can get a lint-free cloth and dampen it slightly. Make sure it’s only a little damp and not soaking wet. You’ll then wipe out both the inside and the outside of the case to get lighter debris. If you have a lot of stains or if the case hasn’t been cleaned in a long time, however, this might not be enough to get it looking good again. If you want to disinfect this type of case you can use some isopropyl alcohol and a cloth to do so. Remove the phone case from the phone and then spray the case with a little of the alcohol. Wipe it down with a soft cloth, making sure that your cloth isn’t going to scratch the case. You’ll then want to let the case dry entirely before you put it back on the phone. This shouldn’t take too long before this type of alcohol is actually intended to dry almost instantly. It should evaporate nearly before you’re finished cleaning the case. How to Clean a Leather Phone Case? When it comes down to how to clean a leather phone case you want to be very careful about your cleaning. Keep in mind, this is about how to clean a leather phone case that’s actual leather. Faux leather cases are entirely different when it comes to the cleaning process. Remember also that these cases actually change color naturally, over time, because they absorb sunlight and oils from your skin. For these cases, you want to very carefully remove the case from the phone to get started. Use warm water and hand soap to wipe down the case. You want to be very gentle and make sure that you’re wiping off stains and marks but not scrubbing too hard. 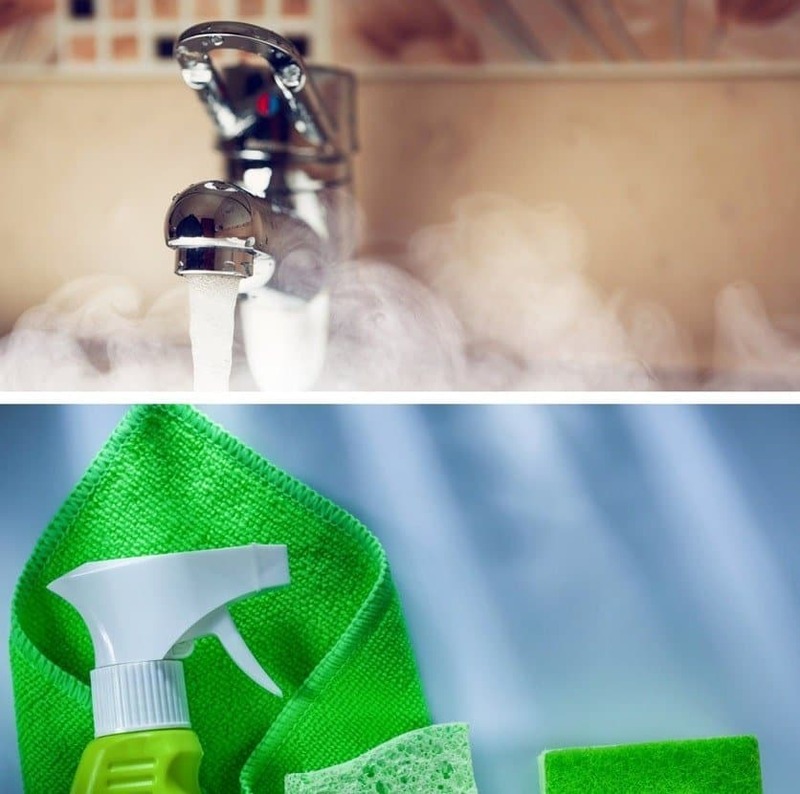 Mild cleaners can be used to get darker or more stubborn stains but you’re not going to want to use anything too harsh and don’t use any type of leather cleaner or even a leather conditioner. Either of these types of products could actually affect the overall color of the leather, making it appear even more discolored than before. Saddle soap, on the other hand, can be used to help with conditioning and improving the color of the leather. It will help to improve the look and the overall longevity of the case as well. You probably wouldn’t be surprised since this is what’s used for leather saddles on horses. If you want your case to look its best you can use a little bit to help restore it after you’ve been using it for a while. If you have a faux leather case you’ll want to wipe it down with a little warm water and some soap. This will help get the material clean but will not damage it since you’re actually working with something that’s closer to plastic. You want to make sure that you don’t use anything too strong that could break down the material of the case. How to Clean a Matte Phone Case? With how to clean a matte phone case you’re actually in luck because these are generally going to be either silicone (or some other form of rubber) or plastic. 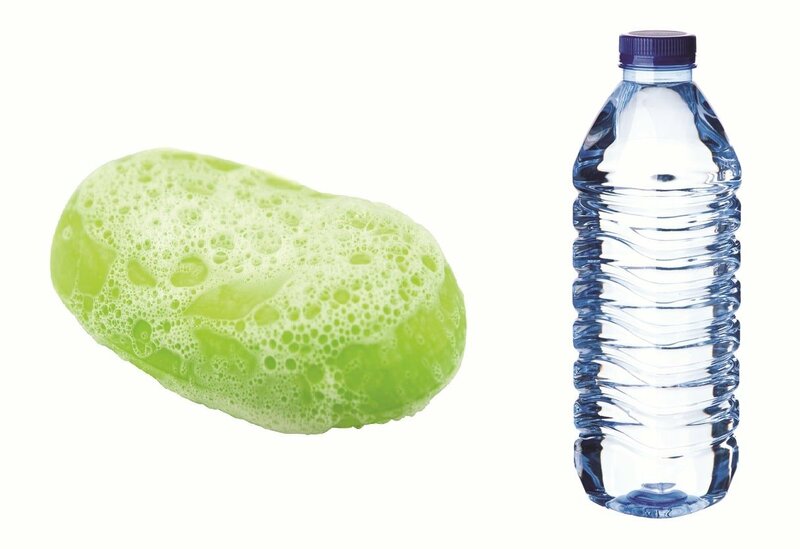 That means you’re going to have an easy time cleaning them because both of these are able to be submerged when you want to clean them. So, to start out you just need to remove the case from your phone and put the phone somewhere safely away. Now fill up a bowl with some warm water and a little bit of dish soap and you can submerge the case. You could also choose to use a cloth or even a toothbrush to scrub the case without submerging it. This is also a good idea if you have darker or deeper stains that need to be removed. Baking soda can also be used for more difficult stains. From there, make sure you wipe your case down with a lint-free cloth and then make sure that it’s completely dry before you put it back on your phone. If you want to disinfect your phone case you can actually do this instead too. It’s really easy because all you need is some isopropyl alcohol and a soft cloth. You want at least 70% alcohol and you definitely want a softer cloth because it keeps the case form getting scratched. Put just a little alcohol on the cloth and then wipe down the case both on the inside and the outside. This is going to remove anything that might be sitting on your phone from all those different times you’ve used it. When you’re done, wipe it off with another soft cloth and your case should feel completely dry. Make sure it’s dry before putting it back on the phone. If you want to know how to clean a fabric phone case it’s actually just a little more complex. But it’s not the process that’s all that much more difficult. Rather, it’s going to take a lot longer to get this type of case clean and to get it dry enough that you can put it back on your phone when you’re done. You’re also not going to have the opportunity for disinfecting this type of case. The first step is going to be removing the case from your phone. Once you’ve removed the case, take a cloth and get it just a little bit damp so that it’s ready for cleaning. You may want to use just a little bit of a very mild soap but not enough to get a lot of bubbles. You mostly want to be using water to clean your case. Once you have your cloth you can gently rub it over the case to remove dirt and other marks. Keep in mind that you don’t want to scrub too hard or you could stretch the fabric. You also want to use circles to remove everything because this gets into the different parts of the fabric. Once you’re done make sure the case dries completely before you put it back on the phone. When it comes down to it, figuring out how to clean a phone case is actually quite simple. Any case can be cleaned with a little soap and water, though you’re going to want to be more careful with how to clean a fabric phone case or even how to clean a leather phone case. These are the more finicky options and they’re definitely going to be the more expensive ones if you end up having to replace them. 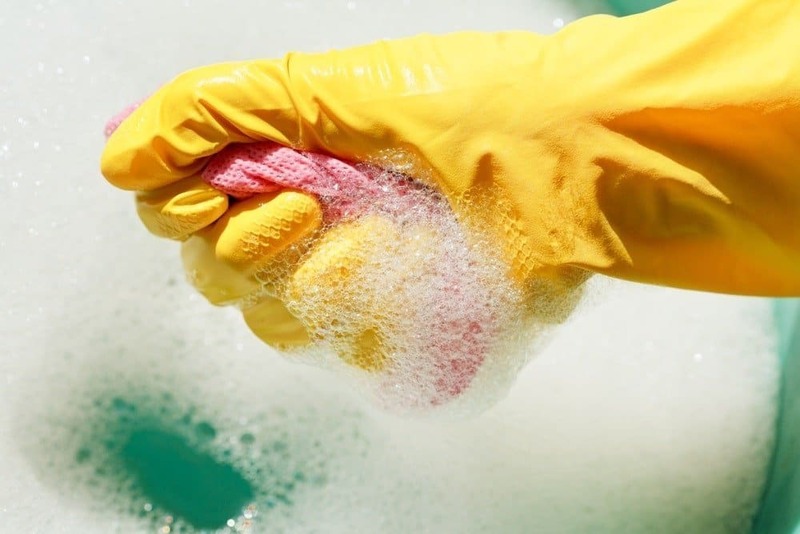 Make sure you’re being careful about how you clean and that you’re taking good care of them. The best thing you can do is clean your phone case frequently. This keeps it from getting too dirty because you’re removing the dirt and debris before it has a chance to set in. This is going to keep your case from getting stains that you have to scrub or even that you can’t remove at all. It’s also going to make sure that it always looks great. After all, you’re probably using your phone multiple times a day, right? You want to make sure that every time you pull it out people are going to see just how great it looks. Whether you’re looking at how to clean a silicone phone case or how to clean a matte phone case, you’re going to be in for an easy time. Just take the case off, grab some soap and water and get it done. clean clear phone caseclean leather caseclean phone caseclean silicone caseHow to Clean a Clear Phone Case?How to Clean a Fabric Phone CaseHow to Clean a Leather Phone Case?How to Clean a Matte Phone Case?How to Clean a Phone CaseHow to Clean a Silicone Phone Case?